The Innovation Underground’s only non-profit, Imani Tumani Upendo, Inc. is currently advocating the Simply Love campaign through the month of December. 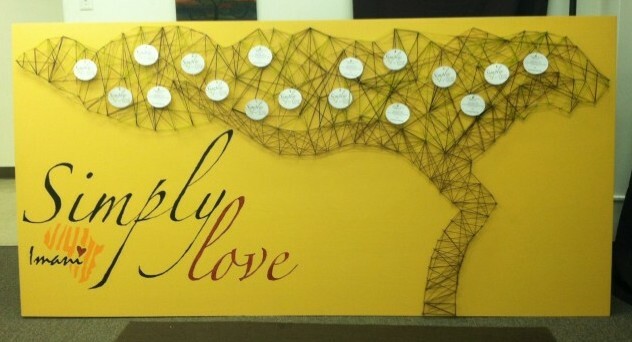 Simply Love is a campaign about a simple calling; a calling dedicated to following in Christ’s footsteps. Imani will place the tree at different locations throughout December, with details posted on their website. You can physically pick up an ornament and donate at the tree location or contribute online. Look for the Acacia Tree and Simply Love! Imani-Tumani-Upendo is a young non-profit that serves mission organizations in Africa. By complimenting existing organizations, Imani helps families develop a better future and defeat poverty. Imani is located at the Innovation Underground, a private business incubator owned by Advent GX and located in historic downtown Bryan, TX. Imani-Tumani-Upendo means Faith-Hope-Love.